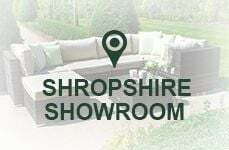 Are you thinking of visiting our Yeovil Showroom? You won't be disappointed. With a huge 4,100 sq. 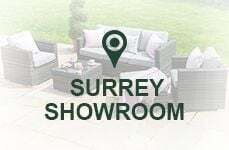 ft. space within Palmers Garden Centre, and over 30 sets on display, from a range of big brands including Nova Outdoor Living, you're sure to find the set that suits your taste and garden. Need help deciding what garden furniture is best for your garden? Our great staff have all the knowledge and facts to help you make the right choice and are happy to help show you around. 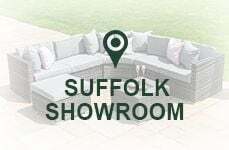 Our garden furniture showroom in Somerset showcases a varied selection of our rattan garden furniture - including sofa sets, dining sets, bistro sets and casual dining sets. 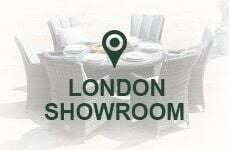 But it's not just rattan furniture on display, we also have a great selection of barbecues, parasols, fabric furniture, cast aluminium furniture and garden accessories for you to look at. 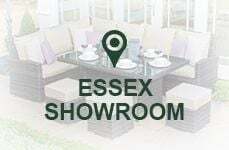 If you're making a trip to our Yeovil Showroom we are located inside the Palmers Garden Centre, not far from the A3088. If you're visiting the garden centre you won't just find our rattan garden furniture, there is also plenty of plants and shrubs, bird care and wildlife, pet products, outdoor living, pots, home & gifts and also a restaurant. Situated in South Somerset, Yeovil is located 130 miles from London, 40 miles from Bristol and is close to Dorset. The town is an extremely popular holiday destination and therefore it is the ideal location for rattan furniture to thrive. There is so much to do and see in Yeovil including the Cary Alpaca farm, Ninesprings Country Park, Yeovil Recreation Centre, Sherborne Castle, and Sherborne Museum.